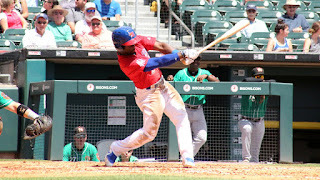 BUFFALO, N.Y. -- The Bisons fell to the Tides in the series finale, 5-4, in a very back and forth contest Wednesday afternoon. The game was tied three times before Norfolk prevailed in extra-innings. An RBI-single by Garabez Rosa in the tenth plated the winning run of the game. The Herd had the speedy Jonathan Davis at second base per the new league rules to start their half of the tenth. Richard Urena roped a deep drive to right field, but it was caught a few feet short of the fence. Davis advanced to third after tagging up on the fly out, but Buffalo was unable to bring him home. 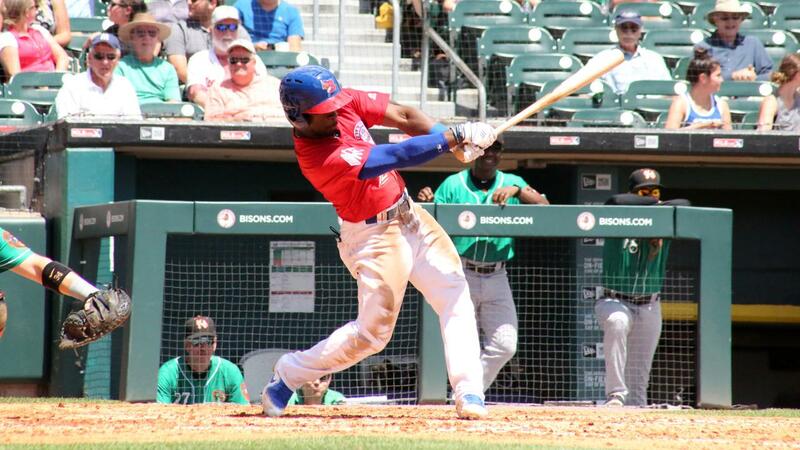 "[We are] just right on the edge," Bisons' manager Bobby Meacham said. "Hopefully we can keep pulling out the close ones and today we just didn't get it done." The Bisons had to battle back from behind twice in the game. Gio Urshela helped even the score at two runs in the third, knocking in Richard Urena on an RBI-single. Rowdy Tellez made a bid to score on the hit but got thrown out on a close play at the plate. Urshela has been a great addition to the Bisons' lineup and finished the game going 3-5 at the dish. Urena hit the then go-ahead, RBI-double in the fifth to give the Bisons the lead for the first time in the game. He extended his hit streak to 10 games after a multi-hit game. "Everything he's done has been really good," Meacham said about the young infielder. "Last week his early work, his extra work before games… [He's] stretching singles into double, making plays [and] really doing some good things at the plate." After the Tides seized a one-run lead in the eighth, the Bisons responded quickly. Tellez crushed an opposite-field blast to tie the game at four runs apiece which ultimately pushed the game into extras. The Herd continues its homestand Thursday night with the first game of a four-game series against the Durham Bulls. First pitch set for 7:05 p.m.